Pacifist Invasions is about what happens to the francophone lyric in the translingual Franco-Arabic context. Drawing on lyric theory, comparative poetics, and linguistics, it demonstrates how Arabic literature and Islamic scripture pacifically invade French in the poetry of Habib Tengour (Algeria), Edmond Jabès (Egypt), Salah Stétié (Lebanon), Abdelwahab Meddeb (Tunisia), and Ryoko Sekiguchi (Japan). Pacifist Invasions deploys side-by-side comparisons of classical Arabic literature, Islamic scripture, and the Arabic commentary traditions in the original language against the landscapes of modern and contemporary French and francophone literature, poetry, and poetics. Detailed close readings reveal three generic modes of translating Arabic poetics into the French lyric, and the mechanisms by which poets foreignize French, as they engage in a translational and intertextual relationship with the history and world of Arabic literature. 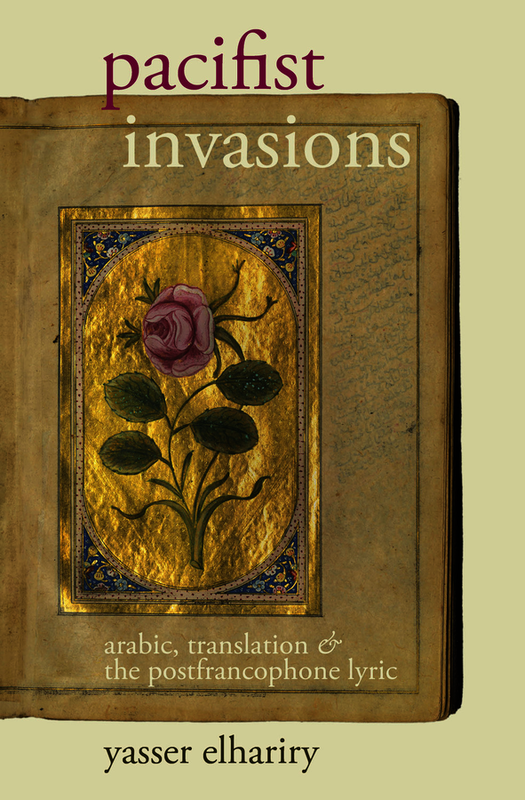 Through fine-grained analyses of poetry, translations, commentaries, chapbooks, art books, and essays, Pacifist Invasions proposes a cross-cultural history and rereading of French and francophone literatures in relation to the transversal translations and transmissions of classical Arabic poetics. It offers a translingual, comparative repositioning of the field of francophone postcolonial studies along a fluid, translational Franco-Arabic axis. The vision of the postfrancophone succeeds the point of exhaustion within the French poetic sociolect, with wide-ranging and surprising implications for the study of French and francophone poetry. Yasser Elhariry is Assistant Professor of French at Dartmouth College. He received the 53rd Annual William Riley Parker Prize, awarded by the Modern Language Association for an outstanding article in PMLA. He is coeditor of 'Critically Mediterranean: Temporalities, Aesthetics, and Deployments of a Sea in Crisis'.